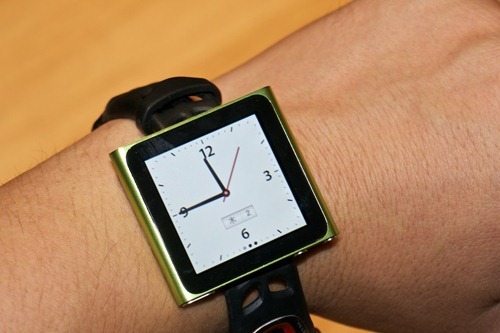 This is the All New Apple iWatch ! Remember the iWatch concept images that we posted a few months back? While it was just a concept back then, you now have a change to bring it to real life by using the new iPod nano 6G which was only recently announced at Apple’s “Special Media Event” last week. All you need is a wristband and the new iPod nano 6G to strap it on to, and you have yourself the sexiest digital wristwatch that you’ll ever own. You can use it to listen to radio, playback your iTunes library, browse photos and what not! Apple iWatch Concept Returns in Retail Box. Makes You Want to Have One Right Now! how much more pretentious do you want to sound?